1. The Original 'Cinderella Team.' You've seen the DirecTV commercial: "Who ever heard of Weber State?" 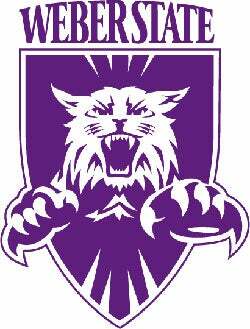 Outside of Utah, the only people who know the name (and that it's pronounced WEE-ber) are NCAA Tournament fans who recognize the Wildcats as the scrappy minor-mid-major team that has managed to win six first-round games since 1969. The team's greatest moment in the spotlight was its 1999 first-round win over North Carolina, followed by an overtime loss to Florida. 2. Who's the Little Guy? The one in the purple-striped tie, who disappears completely in the middle of a players huddle? That's first-year head coach Randy Rahe. And while generous reports put his height at 5-7 or 5-8, he's suddenly a giant in the state and in the Big Sky Conference (which, by the time this is posted, will assuredly have named him coach of the year after the Wildcats' worst-to-first turnaround). Rahe's a no-nonsense guy who put this team together around only three returning players and got everyone to buy into a team-first, hard-work mentality. He's also refreshingly non-clich in interviews: When asked about watching Weber's 21-point lead in the Big Sky title game dwindle to two points in the second half, he replied, "I wanted to throw up."